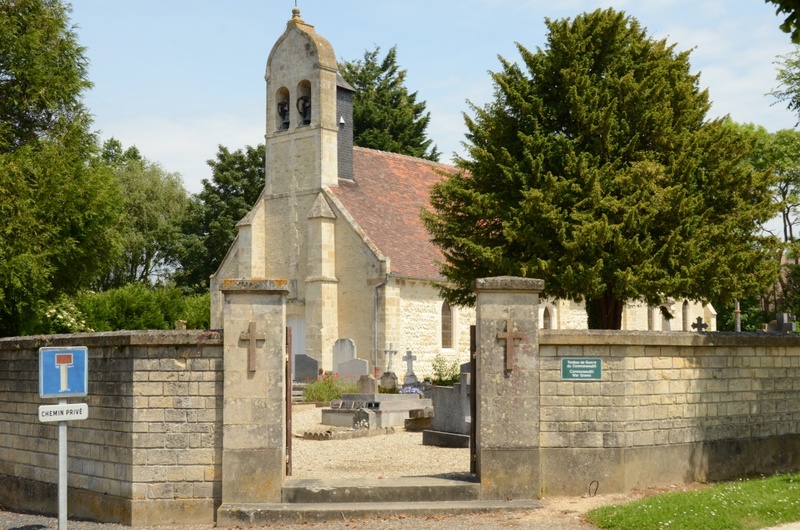 Merville-Franceville-Plage is 19 kilometres north-east of Caen on the N814 Bayeux to Cabourg coast road. The churchyard contains one Commonwealth burial of the First World War, that of an unidentified soldier of the Royal Army Medical Corps found drowned on 3 August 1917. 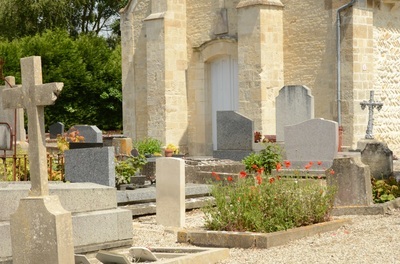 There are also six Second World War burials, five of them unidentified. This communal cemetery contains one Commonwealth burial of the First World War, that of an unidentified soldier of the Royal Army Medical Corps, found drowned on 3 August 1917. 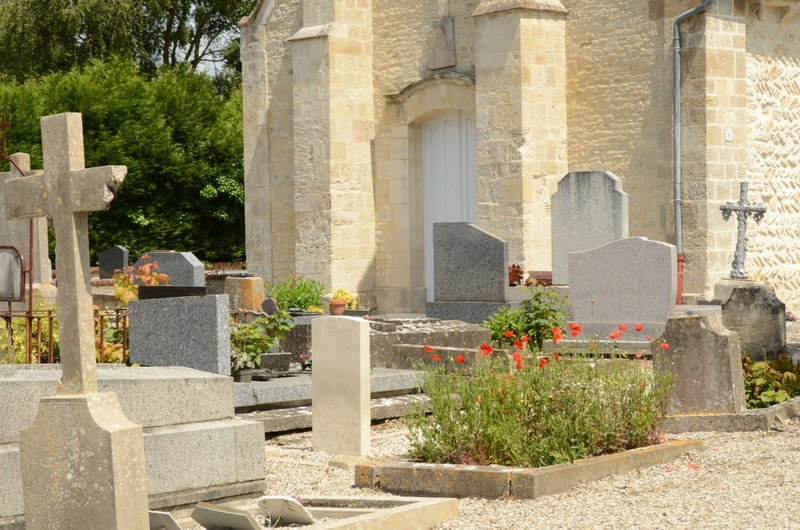 There are also six Second World War burials, five of them unidentified. 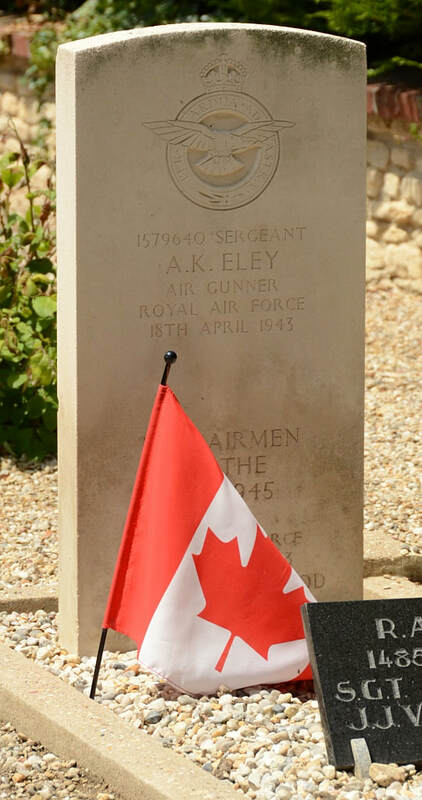 1579640 Sergeant Alban Kenneth Eley, Air Gunner in 156 Squadron, Royal Air Force Volunteer Reserve, died 18th April 1943. 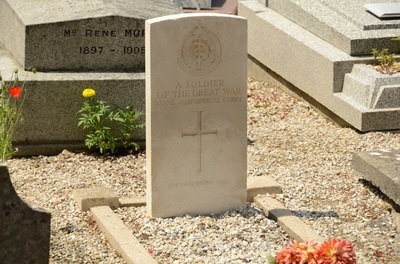 Son of William Edwin and Minnie Eley, of Stapenhill, Burton-on-Trent.